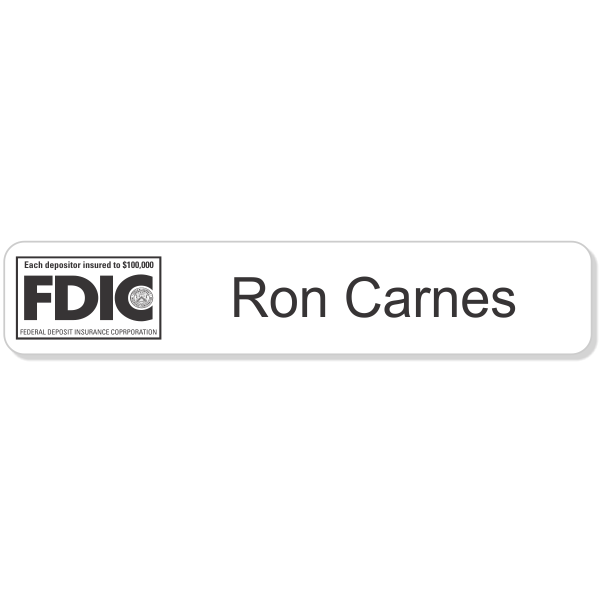 FDIC Name Plate - 1.75" x 9"
This contour edged FDIC sign is available in several different colors and has the revised insured deposit amount of $250,000 on the official FDIC logo. Customize with one line text for name or information. Size: 1.75" x 9"